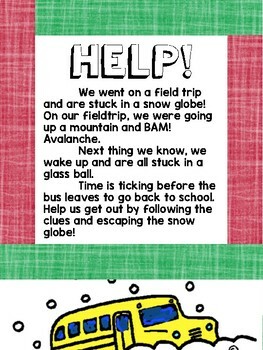 Winter math and ELA escape room! 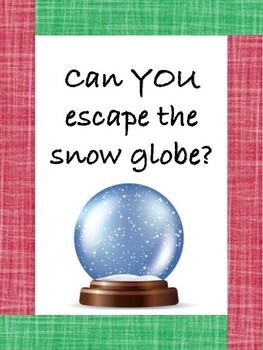 This is a fun winter-themed escape room! There is a letter stating the problem and what they need to accomplish, and there are 6 clues, with activities for each clue. Students will have to complete worksheets that include math and ELA work. Once completed, they will have the answer to move on to the next clue. 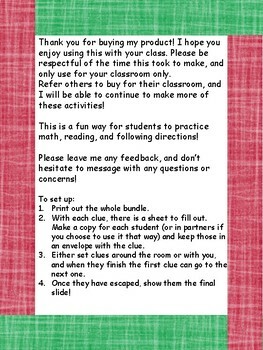 This can be done individually or in partners/small groups. 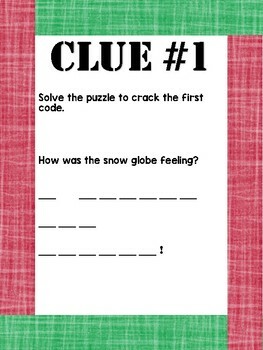 There will need to be copies made of the worksheets with each clue for each student/group.